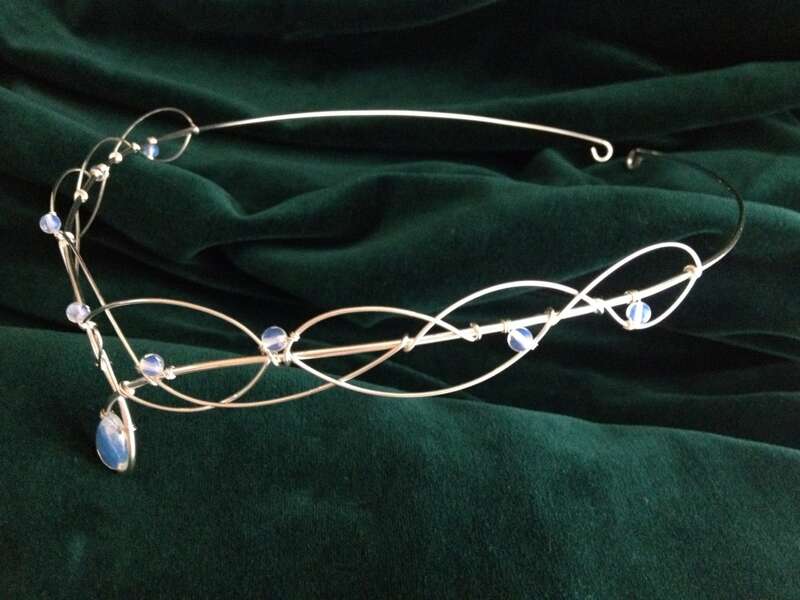 The design element of the circlet measures 22.5cms (9 inches) across and 3cms (1 and a quarter inch) from top to bottom at the centre. 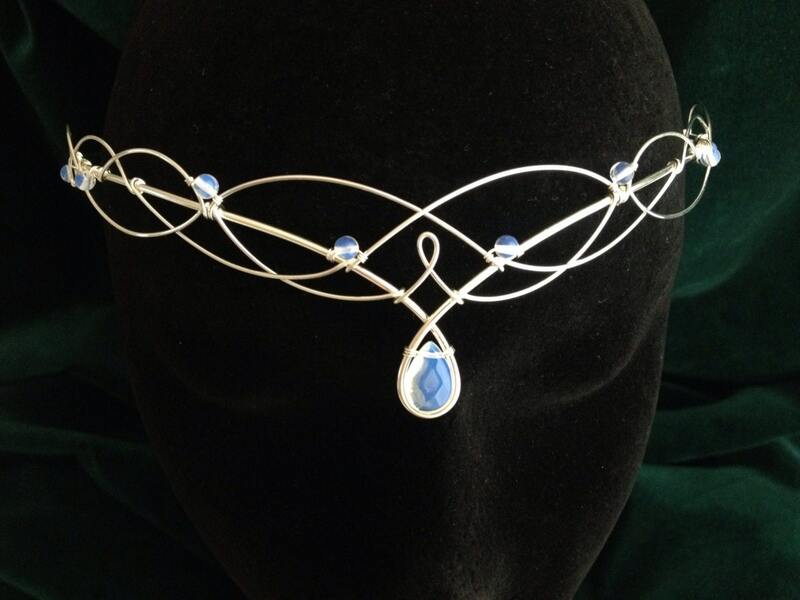 The full circumference of the circlet is 52cms (20 and a half inches) this is for it to be worn as a circlet across the forehead, if you would like to wear it as a tiara please let me know and I will shorten the band and remove the loops free of charge. 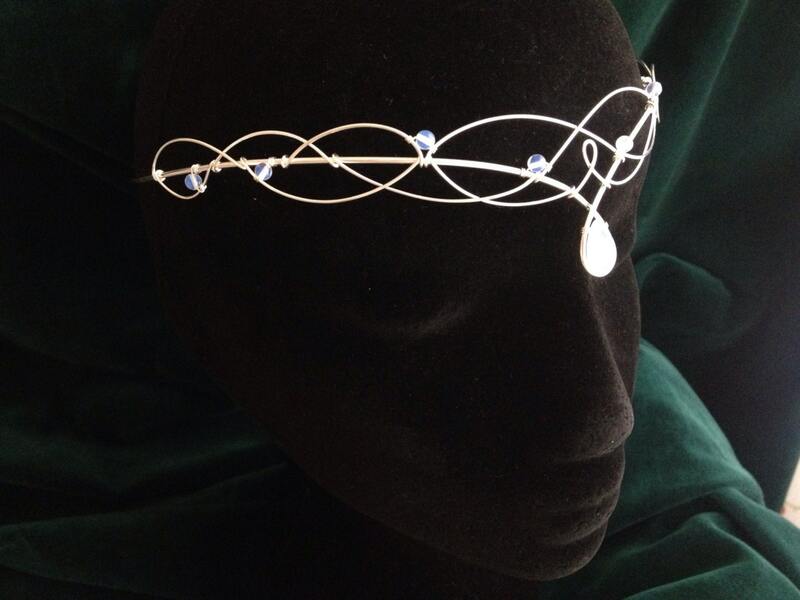 Perfect for re-enactment, elven, faerie, or pagan ceremonies. Can be worn by men as well as women. 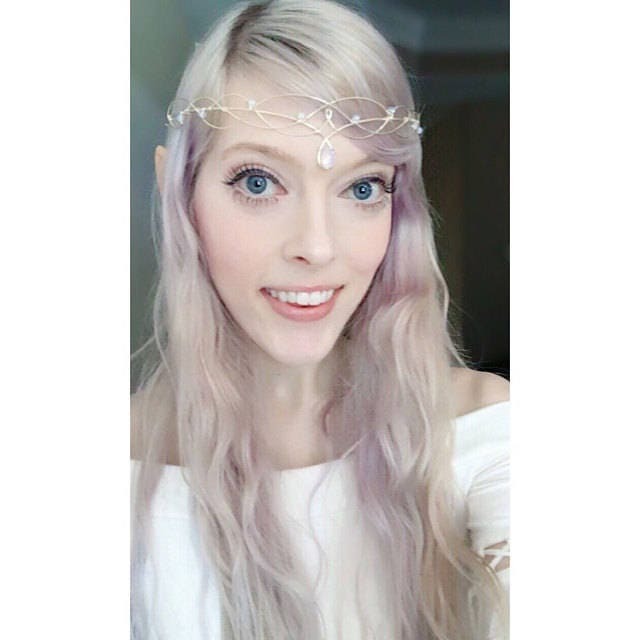 Can be tied or pinned into place, but depending upon your hair it can also be worn alone. 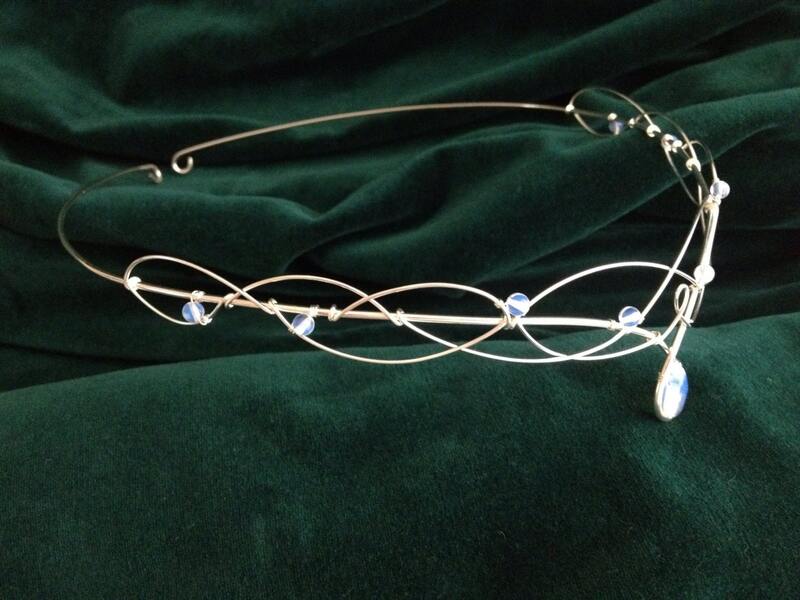 Lovely item, my daughter is really pleased with the circlet. It arrived very quickly. Many thanks.